The term organic is used widely in the context of farming. But do farmers truly understand the potential of an organic certification? A simple certification can open access to international markets for farmers. Organic certification is provided by the Tamil Nadu Organic Certification Department located in Coimbatore, following strict protocol recognized by international organic certification bodies. The quality manager at TNOCD, P Palanikumar believes that awareness about the certification is slowly catching up. According to his records there is over 22877 acres of certified organic farm land in Tamil Nadu alone. The minimum period of conversion from a conventional farm to an organic farm according to the certification process is three years. The conversion period is closely monitored by the authorities. Crops irrigated solely through rain water and groundwater are eligible for organic certification. 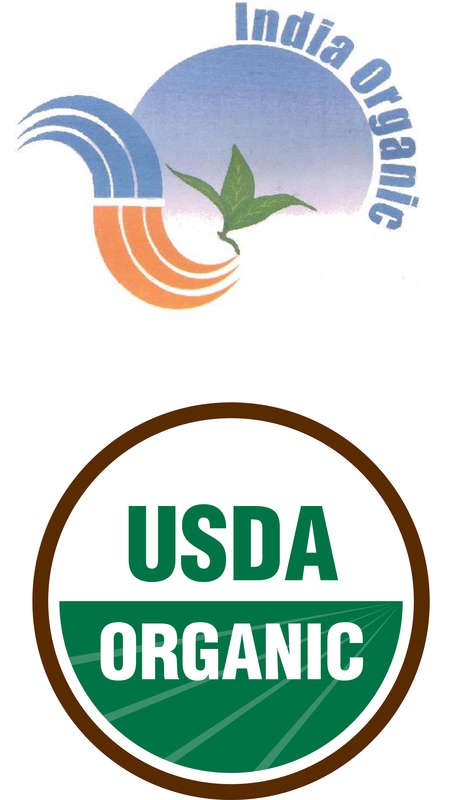 Adherence to the National Program for Organic Production (NPOP) guidelines is essential in order to receive certification. The organic certification is valid for one whole year, after which it has to be renewed to maintain the international standards. The certification process includes sample and field verification amidst other procedures. Although the certification process can be tedious and often daunting, the return on investment is significantly high. In order to help farmers, TNOCD has centers in Madurai, Vellore, Coimbatore and Madurai. The phone number for TNOCD is 0422-2435080. In an environment of rising greenhouse gas emissions and energy costs, the sustainability of the conventional farming methods is called to question. Chemical dependent farming leaves residual pesticides in the soil, reducing the biodiversity of the area and causing soil erosion. A possible solution for this scenario would be to use sustainable farming practices including, conservation tillage, integrated pest and nutrient management, agroforestry, water harvesting, aquaculture and livestock integration. ORCA or Resource-conserving farming was reviewed through a case study that looked at 31 farms, each farm smaller than 7 hectares, in Africa and South America that switched to ORCA farming. The crop yield, food security and income rose in more than half the farms. The more mixed results came from farmers who switched from modern chemicals to organic products. This switch from conventional to ORCA was more beneficial to farmers who had organic market access. With ORCA farming, farmers can easily adopt to the changing market and also farming conditions. But Franzel is vary of advocating ORCA farming as he says, “What is missing is hard data on performance : there are so few case studies analyzing objectively what is going on.” While it is evident that organic farming may be holistically beneficial, the debate rages on without complete scientific data backing organic farming. Organic produce in India is gaining more devout followers with health consciousness on the rise. The online and retail presence of stores that carry chemical-free produce has been slowly but surely been increasing. The increasing demand is not only from the local markets but also from international markets. TechSci Research conducted a study called “India Organic Food Market Forecast and Opportunities, 2017”, according to which the Indian organic food market is expected to grow at a CAGR of nearly 19% between 2012 and 2017. The term organic immediately rings up rupee signs in the mind. The association with cost is attributed to the extensive, meticulous and labor intensive process of agriculture without the use of chemicals at any stage. The land used for such farming should be certified and the certification process is long and tedious. With 4.2 million hectares of farm land certified for organic use, India is well on its way to becoming a giant in the global organic market. Supporters of organic produce claim that the benefits of eating chemical free food will foster good health. The relative high cost is definitely a consideration that cannot be overlooked. The cost and health considerations are definitely contributors to the growth of the market in metropolitan cities like Bangalore, Pune, Chennai, Delhi, Gurgaon and Mumbai. India set to outsource farming land? International contracts for organic farming maybe the next step given the ready availability of land in India. The European, Japanese and US markets are on the lookout for cheaper organic produce as the farming and labor is expensive and fertile land is not easily available locally. The study conducted by TechSci investigates the future potential of the organic market in India through statistics, industry behavior trends and information on market structure. The study also includes demand forecasting and organic food market projections. The study is a good starting point for investors and business owners as it aids the decision making process.